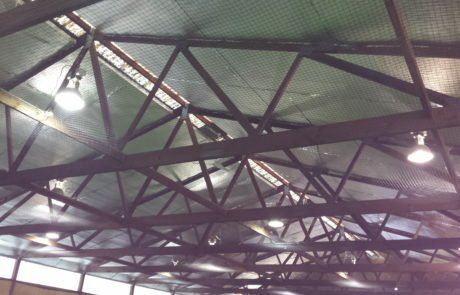 Protective Netting We can design and supply protective netting options, to protect indoor lighting and areas to shield spectators from stray balls. 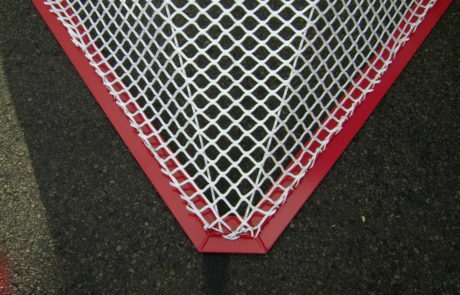 We also have ball safety netting systems to shield parking lots and roadways from those ball that are kicked out of play. Lacrosse GoalsWorkhorse has CLA approved lacrosse goals for both field and box lacrosse. 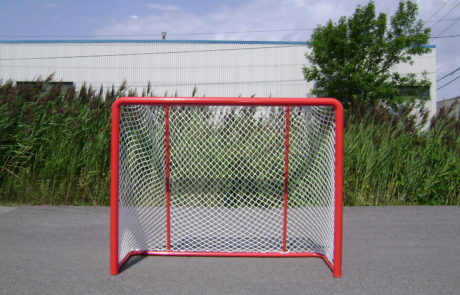 Hockey Goals We have a large variety of hockey goals from the road hockey models to the Professional ice hockey model. 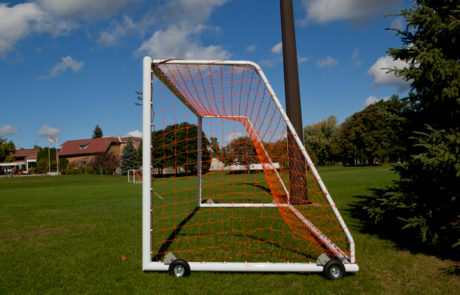 Soccer Goals Official size 24' wide x 8' high, 4' (T), 8' 5" (B). Lightweight 4 piece design for easy assembly. White baked powder coat finish. Ground anchors included. We manufacture to any size to suit your facilities requirements.